Rudy Fernandez of DKV Joventut was visited by NBA team Portland Trailblazers owner over three weeks ago. 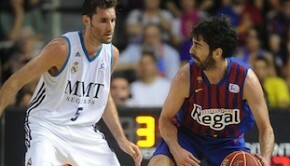 The president flew in on his jet during his 24hr trip to see Rudy Fernandez in a Euroleague Game. Fernandez has not decided on his plans for next year, but we think that he will play in the NBA for the 2008-2009 season.